If you want to gain the real-world skills needed to work with animals as a veterinary technologist, the veterinary medical technology (VMT) program Wilson College is the place to start. 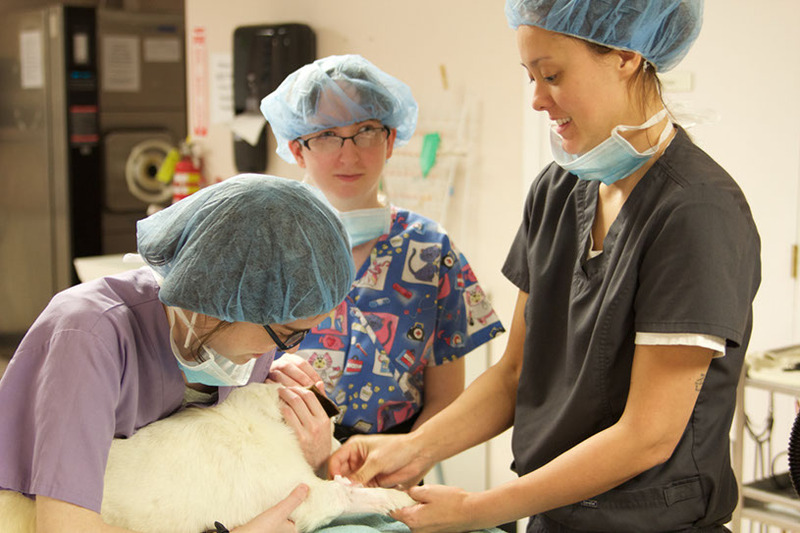 Students in this major benefit from both clinical and classroom experience in veterinary tasks such as surgical nursing, anesthesia, clinical laboratory, animal handling and radiology, fulfilling all clinical requirements set by the American Veterinary Medical Association (AVMA). VMT graduates earn a Bachelor of Science degree and are eligible for the National Veterinary Technician Examination and individual state licensure. 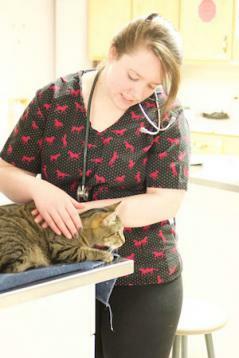 The veterinary biology concentration prepares students for work in clinical practice, education, research and industry. This path provides a firm foundation for students looking to enter veterinary school; however, additional course work is necessary to fulfill the prerequisites required for entrance. An academic advisor will assist students with course planning. If you’ve always dreamed of opening your own private veterinary practice, the veterinary business management concentration will give you the tools your need to make it happen. In addition to becoming a veterinary technician, graduates from this track will also be prepared to take on leadership roles such as supervisor or hospital manager. Since many of the requirements are met through this concentration, students may also wish to pursue a minor and certificate in entrepreneurship and small business management. One of the first programs of its kind in the nation, the Equi-Assist® concentration gives students the training and skills to work independently to provide equine nursing veterinary care in a horse’s home environment. Under the direction of the attending veterinarian, students are trained to coordinate communication and care between a horse’s owner, trainer, veterinarian and managers. This specialized training makes the veterinary technologist an invaluable resource to the veterinary medical team. Further reading: A Day in the Life of An Equine Veterinary Technician. The VMT program is accredited by the American Veterinary Medical Association.